Yes, give me Peace of Mind! We come to you … Anywhere you are! I love a great business idea! We are your last line of defense! I want to congratulate you on your choice of staff. The 2 young men that dealt with my shredding last week were a credit to your company. I will use you again! 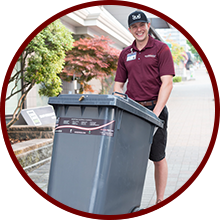 I have been working with ShredWise for over 3 years, they continually work within our tight timelines and assist with problem solving when needed. I will not go anywhere else. Always on time, fast and efficient, and best pricing of all the companies I have used for our shredding services. No hidden charges or extra charges for not calculating quantity correctly. Have used them 3 times this year, and won’t go anywhere else. 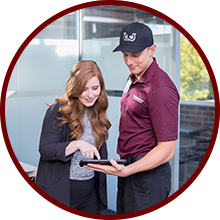 When your business demands the highest level of service, dependability and security for your proprietary and client information, ShredWise is truly the only answer. Identity theft is a fast growing crime, it is critical to ensure you personal information cannot get into the hands of these criminals. 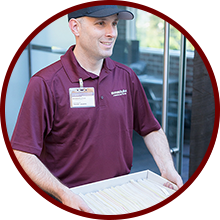 Our convenient Drop-Off Service allows you to bring your confidential documents to most UPS Stores. Call us to find out the location nearest you. LOOKING FOR SPECIAL OFFERS? FIND GREAT DEALS HERE! Paper doesn’t disappear on its own! We make sure that managing your daily paper-flow efficiently or the annual office clean out doesn’t break the bank. Our document shredding services are not just exceptional but reasonably priced as well. On top of that, ShredWise is proud to offer a variety of different special offers throughout the year. Enter your email below and we will keep you up to date on our amazing deals!